Established in 2006 by physiotherapist Catherine Chambers, Healthjunction houses a leading Physio and Pilates practice based in the Cape Town City Bowl. After more than 20 years as a practicing physiotherapist, Cathy’s dream was to create a facility which could offer optimal results through an integrated programme of treatment, rehabilitation and long-term maintenance of patients. And so, Healthjunction was born. Today, Healthjunction comprises a passionate and highly skilled team, offering physiotherapy, Pilates and massage, who are dedicated to providing exceptional care and achieving outstanding results. 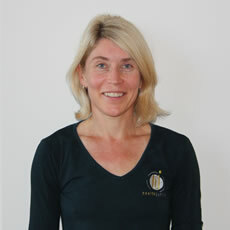 Catherine is the owner of the physiotherapy practice. Her experience is in rehabilitation of a wide spectrum of injuries with an emphasis on the exercise component. She has a special interest in sports injuries, being a keen sports participant herself, and in visceral manipulation. Her spare time is spent with her energetic twin girls. Kiana is the Office Manager at the Practice. She enjoys organizing and is here if you have any queries. She spends her spare time at the beach, or with her friends and family, and she loves to sew and work in the garden. 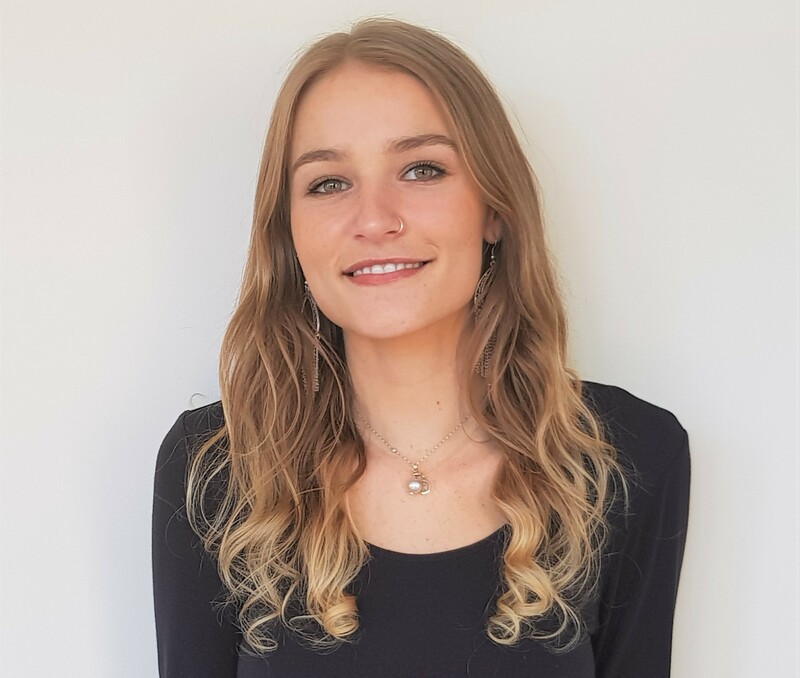 Genevieve has a special interest in spinal pain and headaches as well as sports injuries having always been extremely sporty herself. She is a positive person who brings a lot of energy into her treatments. She believes in a holistic and empathetic approach to rehabilitation and exercise based recovery. In her spare time you’ll find her running or cycling, cooking, surfing or doing Pilates. Catherine Chambers Physiotherapy was established in 1998 and was incorporated into the Healthjunction centre in 2006. 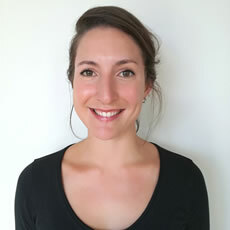 With over 20 years experience as a practising physiotherapist, Catherine heads up a dynamic team of physiotherapists, all of whom share the intense passion and dedication to their patients as she does. Our Pilates studio was established by Catherine over 13 years ago and occupies pride of place at the practice with magnificent mountain views, state of the art equipment and the country's top qualified instructors. The Pilates instructors at the studio are either qualified physios or experienced Pilates teachers with an interest in rehabilitation. Please note that our rates have increased as from 1st December 2018. Keep up to date with our Newsletters to see some tips, tricks and the odd recipe! You can find the Newsletters on this website. Kids Pilates Classes are available every week and during the holidays – first class free! Class time is dependent on the groups' overall availability. I’ve been to dozens of Physiotherapists, Body Stress Release Practitioners, Chiropractors and Osteopaths over the last 15 years and it always felt like I was seeing a mechanic. With Gen and Cathy I’m working with a sculptor. Thanks to you ladies, I have my body back! In 2008, after just moving to Cape Town from America, I swung a golf club and ended up immobile and face down on the 10th fairway of the Belleville Golf Club. There was tremendous pain shooting down my right leg. The disc between my L4 and L5 vertebrae was herniated. Some very kind golfers got me on their cart and from there, slid me into my doctor uncle's SUV. Off I went to Panorama Hospital for surgery. My wife and I have a small cottage just down the hill from Catherine Chambers Physiotherapy. Because of the convenience and the wonderful reputation, I hobbled into their beautiful new building. I was greeted warmly and professionally by the smiling staff member behind the counter. It's now 2019 and Kiana put me at ease and made me feel welcome immediately. The first impression again made me want to stay. I knew that I was in the right place. I'm now 68 and a very active retired Physical Education teacher, (who of course knows everything about his body) currently hiking the Appalachian Trail in America. My goal to finish the 2,200 miles was beginning to look impossible to me, as my body and spirit were failing me. My schedule landed me in Genevieve’s care to try and sort out the new pain in my same leg and a nagging Plantar Fasciitis problem. I'll admit I was a bit nervous but determined to be a good client. I sat down in Gen's office and the healing began. She has been amazing. Kind, caring, intelligent and professional. I am so grateful. It's 5 weeks later and I'm temporarily in a Pilates class at 7am and have been receiving regular treatment, first for the pain in my leg, and now for my aching foot. Everything has changed. I am a different person. I was broken 5 weeks ago. Today, through Gen's caring and extremely capable guidance and treatment, my positive attitude is back, the pain in both my problem areas is nearly gone, and I'm confident, that if I continue doing what Gen has taught me, I will be at 100% soon. I walk and ride my bike for moderate distances pain free now. It's just a matter of staying on track! I think that even more important than my physical improvement, is that I feel alive again. I love my life again. I wake up ready to enjoy my day again, and I've even learned a little. Ha. I now have a completely different mental and physical approach to my personal health. I thought I could fix myself. I was stuck. Catherine Chambers and Genevieve have taught me new ways to maintain my fitness, stay active, and achieve my goals. I put myself in their capable hands again, 11 years later, and got even better results. Thank you so very much, Catherine, for maintaining your high standards and thank you, Genevieve, for your excellent care. As an active person and having been involved in many different sports at a competitive level, I had various injuries of different degree and complexity. Cathy and her physios never failed to get me back on track, whether it was post- shoulder surgery or a little "twitch" in a calf muscle. They are always very professional in their approach to injuries, with a personal touch to put your mind at ease. Catherine Chambers Physio is the kind of place you look forward to going to, it is a happy, friendly Practice where professionals are at work. I can highly recommend Catherine Chambers Physiotherapy! It is a pleasure working with Cathy and her team for their professional assessments and rehabilitation of our mutual patients. I have no hesitation in recommending you and your team for patients who have shoulder and elbow problems. When I savagely rolled my ankle and asked a physio friend to recommend a physiotherapist, she said Cathy is the best, and the best diagnostician. I was in a miserable state and felt instantly relieved and looked after when I got to see her. Being treated by Cathy feels very personal. Her gentle, comforting presence is special, and her tremendous experience instilled great confidence. I leave each Pilates session very aware of my body and its capabilities as well as how I should stand or sit, how I should move, etc. This helps me between my twice-weekly sessions as I sit at the computer, bend over the bath to wash children, etc. What I learn at Pilates, therefore, has a direct effect on the rest of my life. I am so happy to have found this physio practice to help me with my shoulder pain. There is a high quality of treatment and the people are friendly. Cathy and her practice offers a fantastic avenue for referral of any postural and biochemical imbalances or weaknesses. I have noticed a huge improvement in my daughters posture, and concurrent growth in her confidence levels since attending teens pilates classes at Healthjunction. Cathy's treatment is exemplary. She has excellent diagnostic skills and always shows personalized compassionate care. She is sensitive and intuitive and most professional. What a combination! Thanks so much for all you've done in helping me to regain and maintain a much improved lifestyle and quality of life. The strength and fitness program has definitely helped reduce the frequency of injuries whilst the weekly massage has made a real difference in reducing the aches and pains associated with my neck injury, stress etc.